Very excited to share a design I completed a few months ago -- a logo for SnapHope, a non-profit on a mission to improve the lives of orphans around the world. I met the owner, Claudia, in Japan, although we have since both moved back stateside. She is one inspiring lady who is following her heart by starting this new endeavor. She says it best in her own words: "I ought to proactively, fearlessly, and relentlessly be the change I yearn to see in this world." That's pretty awesome, huh? Claudia's organization needed an equally inspired logo. So that's what she got: there's a lot of symbolism wrapped up in this one little graphic. There's the camera of course, to symbolize the core purpose of the organization: celebrating hope and bringing attention to the poor and orphaned through the art of photography. Then there's the cross, to emphasize the Christian mission of the organization, which is in sharp focus in the center of the camera's shutter. And, finally, there's a little anchor tucked into the loop of the "S". Anchors are an ancient symbol of Christianity and they hold a particularly special personal meaning to Claudia. The logo looks great in black & white, when layered over images, and in many different colors. It is also made up of versatile pieces; the font portion can be used independent from the camera form and the cross & shutter make a great icon. We also figured out a way to incorporate the organization's tag line, without making it feel too cluttered. As always, I started brainstorming with some quick sketches. I played with the different symbols Claudia and I had identified in our initial meeting -- anchors, doves, cameras, and crosses. It was pretty clear from the beginning which concept was the winner -- we both gravitated toward Option 4 immediately! Be sure to check out more of Claudia's inspiring work on Facebook or on the SnapHope website. Keep checking back to learn about her growing mission! 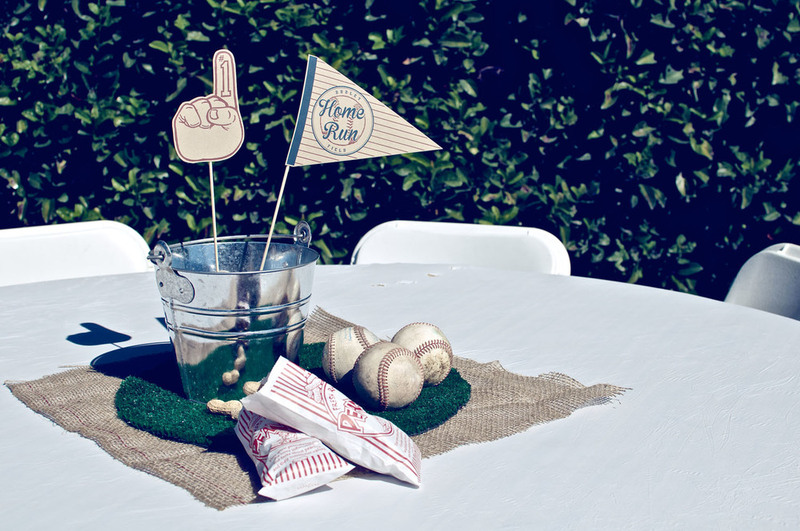 A couple of months ago, I had the pleasure of creating a collection of graphic items for a baseball birthday party hosted by Melissa, owner of the Polka Dot Pickle Etsy shop. 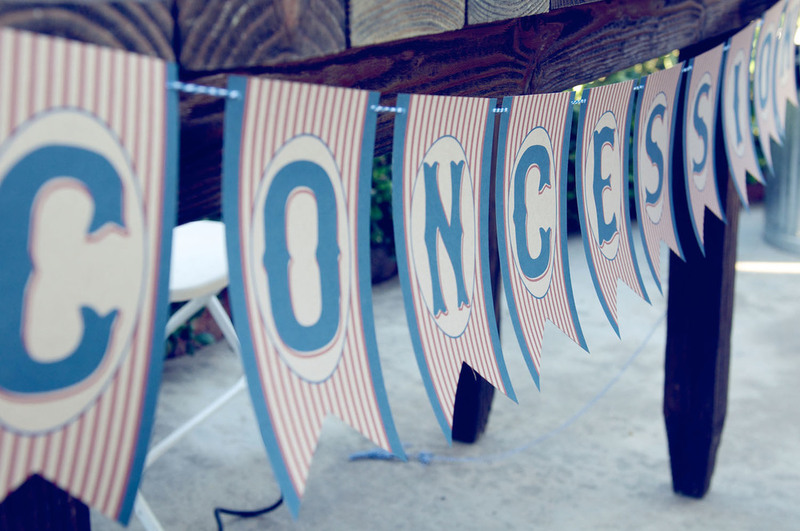 The package included signage, food labels, favor tags, bunting, and more! Melissa sure did put on a beautiful party, didn't she?! I'm in awe of her attention to every detail -- it looked absolutely perfect! 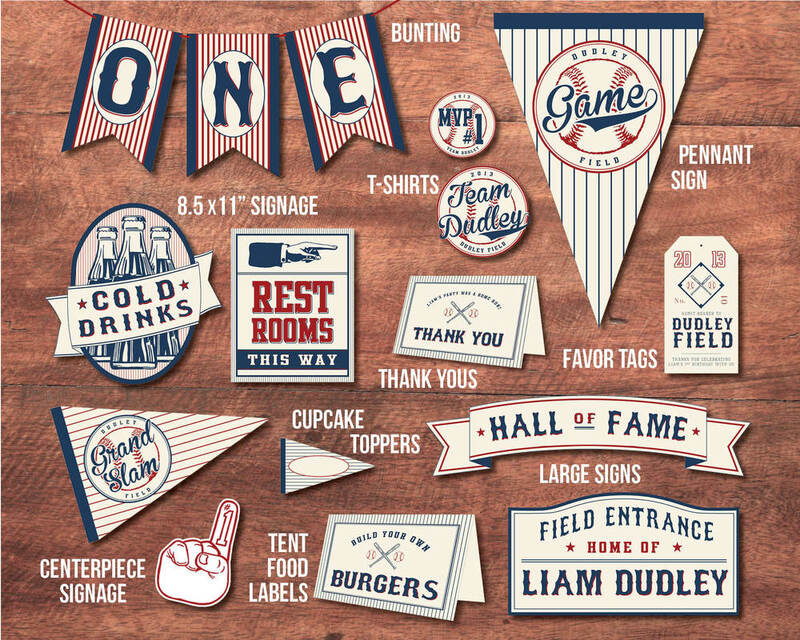 All the graphics coordinate with the baseball invitations available in my shop. A printable DIY version of the party package is also available for sale in the shop and on Etsy. Thanks to Shannon at The Pixel Studio for allowing me to use his lovely photos. The full party package is now available on my shop and Etsy. 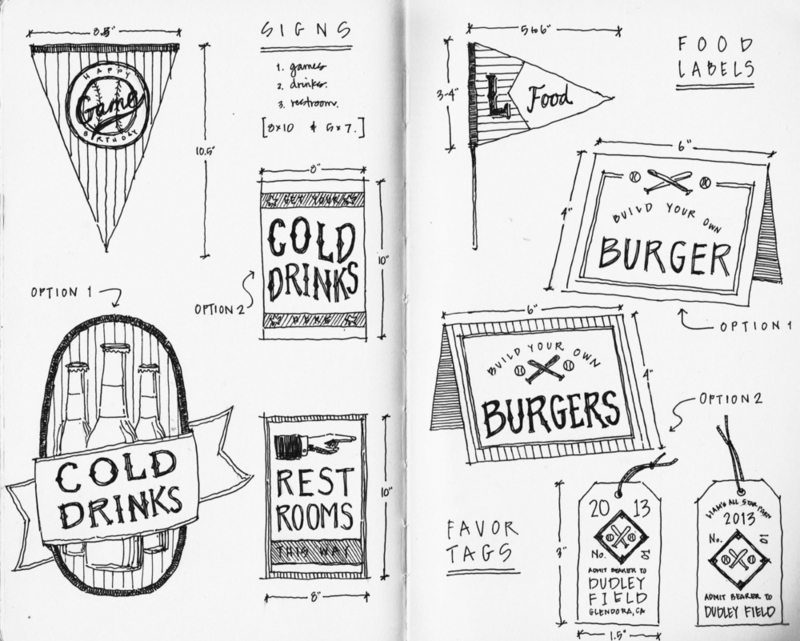 The first step was to draw out my initial ideas in my sketchbook. Then, Melissa and I put our heads together to improve everything, then I got to work in Illustrator. She received the digital files from me, printed it all out, and made it come to life! Love this idea for a "Hall of Fame" -- all the photos of the last year!